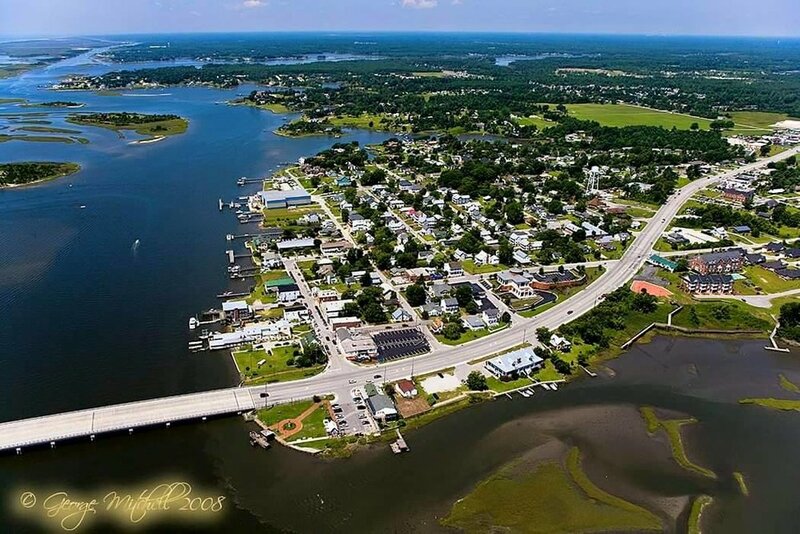 Swansboro, NC is a quaint, historic town located on the Intracoastal Waterway and the White Oak River. Swansboro is located at the southern end of the Crystal Coast, just a couple of miles from sandy beaches. Known as the Friendly City by the Sea, Swansboro is a great place to come and visit any one of the numerous restaurants and shops located on the waterfront. There is something for all ages to enjoy in Swansboro, whether it is water activities, scenic parks, historic sites, or the numerous festivals scheduled year-round. Visitors and residents alike enjoy watching the many fishing boats, pleasure boats, and kayaks cruise by on the Intracoastal Waterway. One thing you can rest assured, if you retire in Swansboro, everyone will want to come see you! After all, you are at the coast!